Gelation Timers, GT-5 and GT-6 - Raya Scientific Co.
• PLEASE NOTE: retort stand and clamp is for illustration only and not supplied with gelation timers. Techne has been setting the benchmark for gelation timing for almost 60 years. In fact, several British Standards for this methodology have been written using our equipment. Gelation timers are used to measure the transition from liquid to solid during polymerisation. Both models have digital timers, with the time in 1 minute increments (GT-5) up to 9999 minutes or in tenths of a minute (GT-6) up to 999.9 minutes. A bright LED display shows the time to the nearest minute or tenth of a minute, and an audible bleep and light confirm completion of gelation. 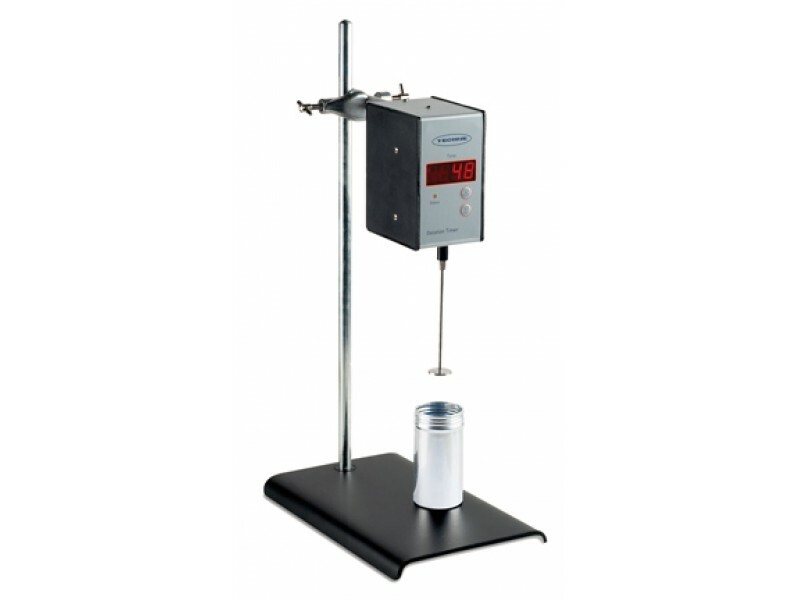 The Techne Gelation Timer is the ideal instrument for accurate measurement and quality control for the gelation of resin or adhesive based samples in the laboratory. Every unit is supplied with the usual Techne quality guarantee, including a calibration certificate for traceability, before leaving the factory each instrument is calibrated and certified.